Bloomsbury USA Childrens, 9780802727947, 192pp. This award-winning book for reluctant readers is a fascinating collection of remarkable deaths--and not for the faint of heart. Over the course of history, men and women have lived and died. In fact, getting sick and dying can be a big, ugly mess--especially before the modern medical care that we all enjoy today. 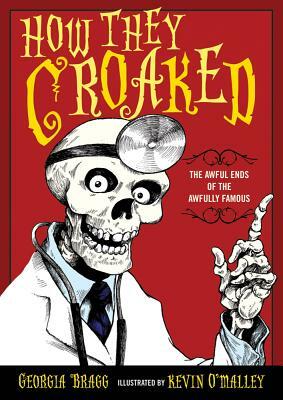 From King Tut's ancient autopsy to Albert Einstein's great brain escape, How They Croaked contains all the gory details of the awful ends of nineteen awfully famous people. Don't miss the companion, How They Choked!